501 - 633 Abbott Street, Vancouver — Mark + Co. Welcome to Espana, located in vibrant Crosstown. This 960 sqft open concept, separated 2 bedroom/2 bathroom with den, solarium and Juliet balcony is the perfect place to live or to rent out. Features include a modern European style kitchen with white cabinets, granite counter tops, stainless steel appliances, wine cooler as well as laminate flooring throughout the unit. Relax by the fire place or enjoy the large ensuite soaker tub! The building offers an indoor pool, whirlpool, fitness centre, sauna, landscaped courtyard, party room, and full-time concierge/security. 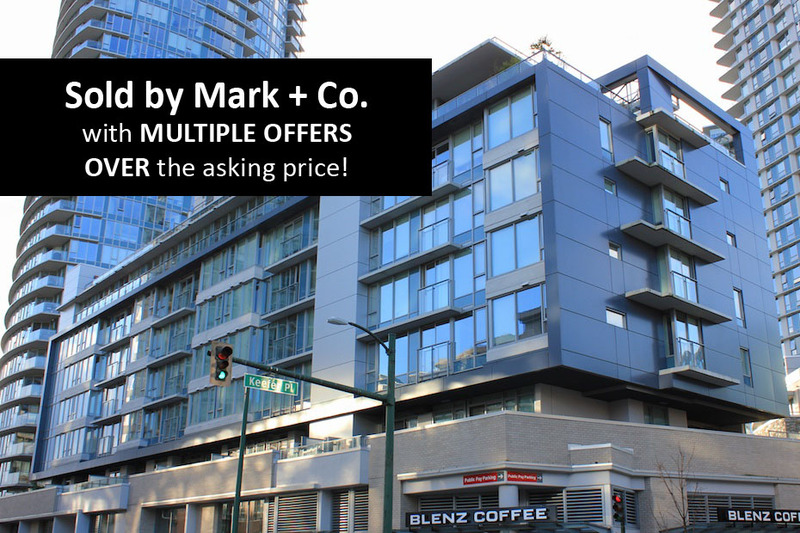 Steps to many of Gastown's best restaurants, the Skytrain, International Village, Cineplex, T&T, Costco, Rogers Arena, Andy Livingstone Park, & much more!